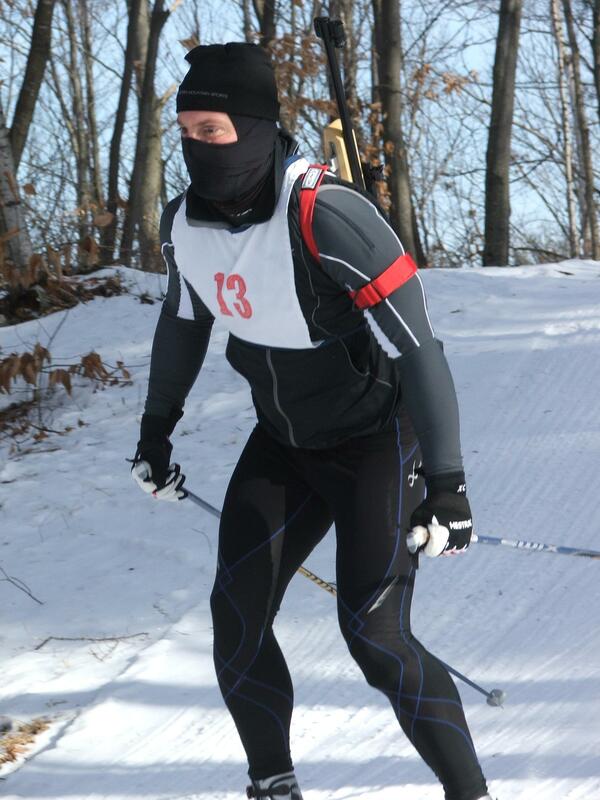 Tom Moffett (Saratoga Biathlon) won today’s individual relay race with one penalty. 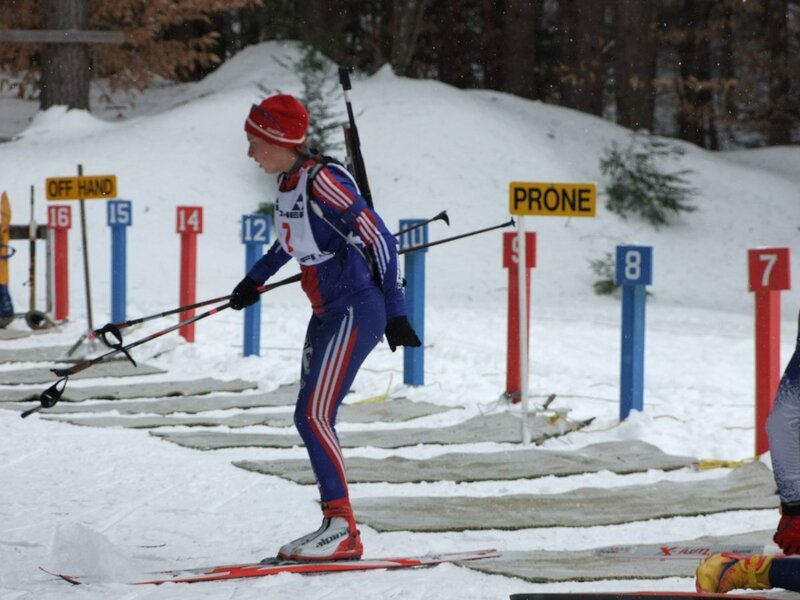 Sean Halligan (Saratoga Biathlon) was 43 seconds behind, but was hindered by cross firing, ending up with three penalties. 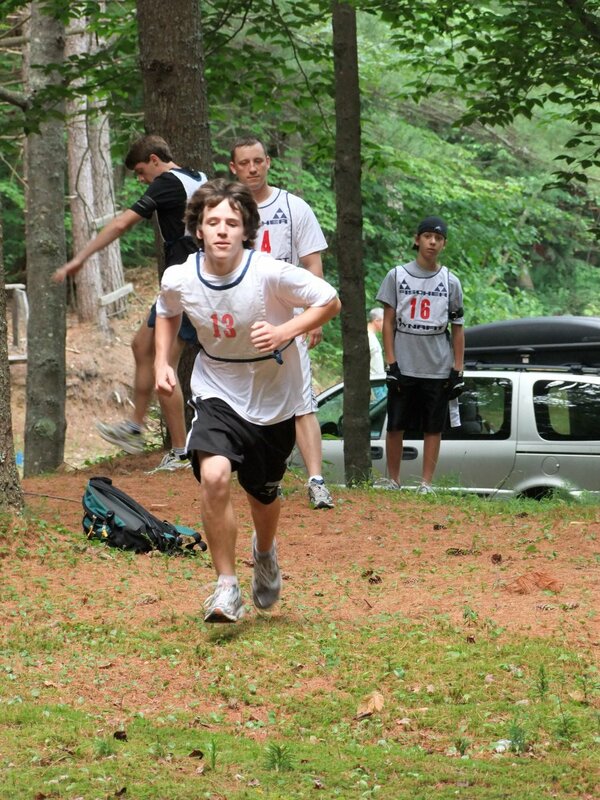 Matt Forshey (HURT) finished in third, three seconds behind Halligan. 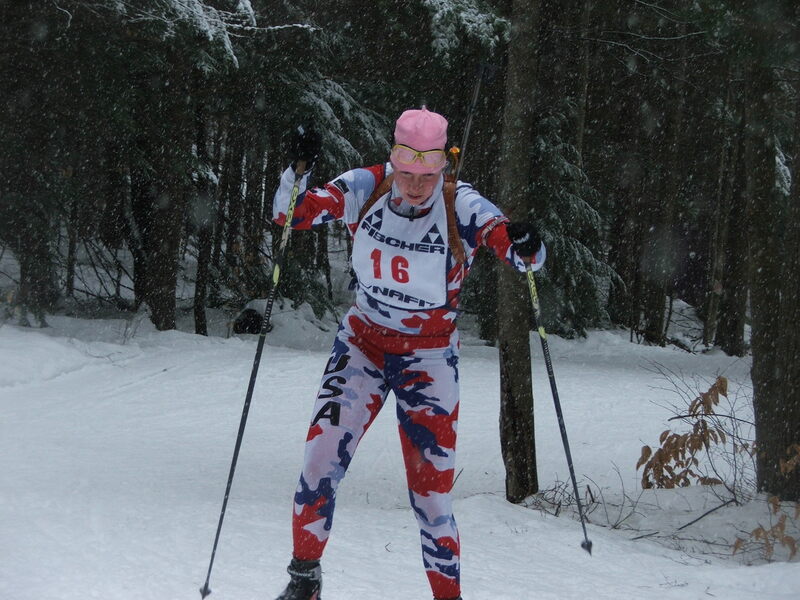 Deb Nordyke (Saratoga Biathlon) used her home course advantage to hold off second place Ann Seyse (GHN), and third place Magali Haas (Saratoga Biathlon). 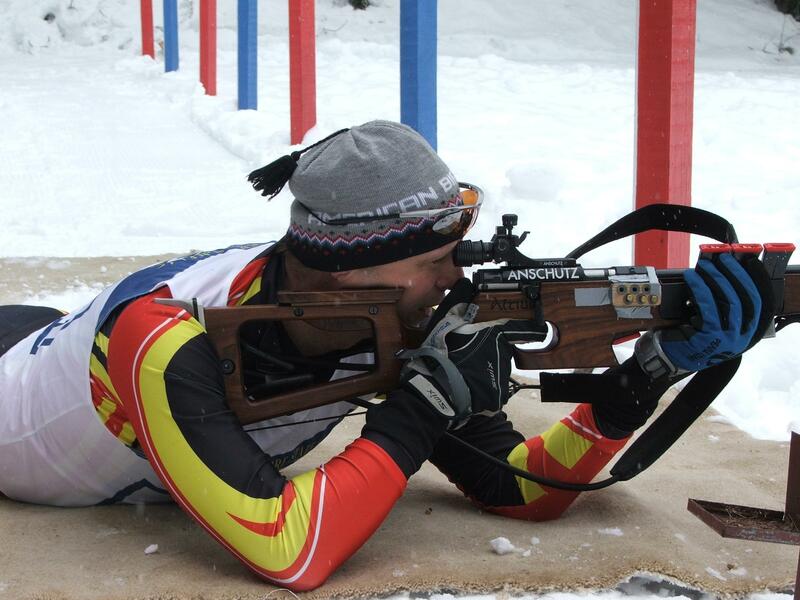 Racing continues tomorrow with an individual (5 laps, four shooting stops). Race distances will be slightly shortened due to the cold. 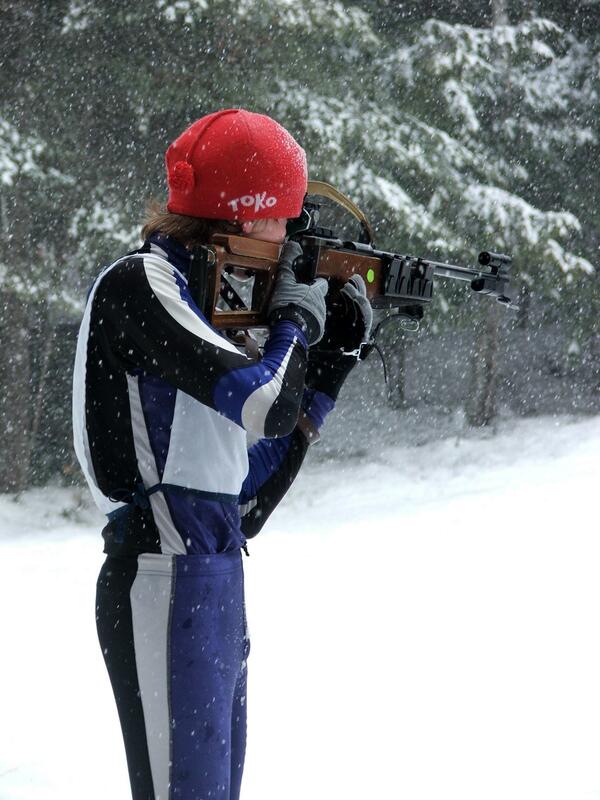 Sr, Jr, and Masters men will race 15 km, anyone else who is skiing with a rifle will race 12.5 km. 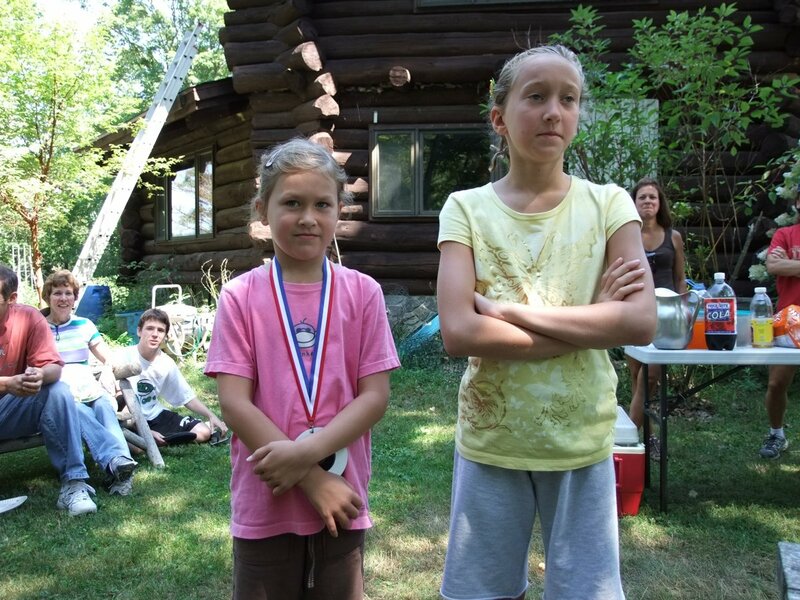 All novices, boys, and girls will race 9 km (three loops, 2 shooting stops).